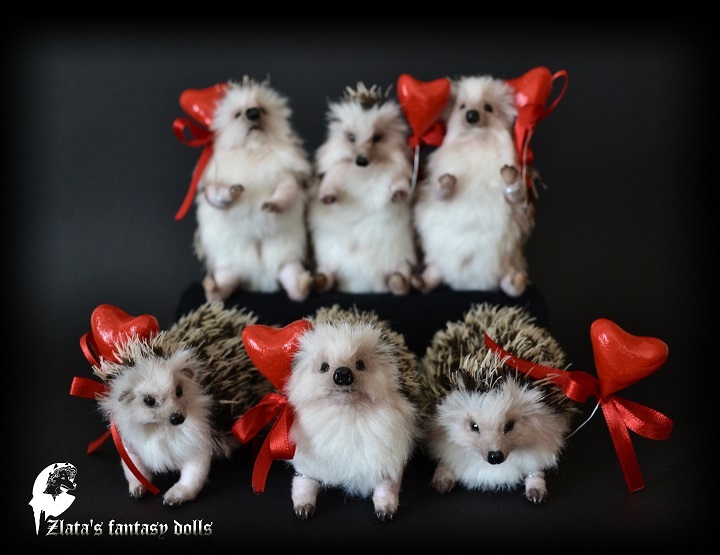 Adorable Female Hedgehog, 100% hand made, cuddly, is a one of a kind original piece of artwork! I've created a posable skeleton inside the body, wrapped with stuffing ! I then applied the Synthetic fur in tiny clumps onto the hand sculpted face! Hedgehog in length 15 cm (5,9 inch), width 10 cm (3,9 inch).